Self-medicating to cope with work pressures within London’s square mile? This blog will discuss the topic of self-medicating to cope with work pressures; by workers in the financial industries. There is a well known and highly competitive working culture within London’s square mile. Workers work hard and long hours. To compensate for pushing themselves so hard, and the related problems this creates, some cope with the stress by turning to a range of different adaptive and maladaptive means. The financial industries are those most affected by these issues within London’s square mile. 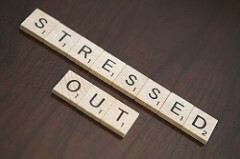 However, workplace stress is a factor that cuts across most industries. Maladaptive ways of coping with the pressures at work has been known to destroy families. And what a shame this is. It’s as though we become consumed in this bubble where work becomes the be all and end all. And for some, this unfortunately is all too true. So what do I mean by self-medicating? This refers to coping with the stresses and pressures of work through unsustainable and ultimately destructive means. This may mean consuming copious amounts of tea, coffee or energy drinks, etc to keep you awake and alert. Some people are known to consume 10 cups of coffee or tea per day. This may not be readily recognised as a problem– but it is. Effects of too much caffeine are well document – this can include restlessness and insomnia and such like. Alcohol and illegal drugs or other (prescribed) medication are very common ways of self-medicating – one would imagine that this would more readily be recognised as an issue, but often workers who abuse drugs and alcohols tend to justify and make excuses for their habit. This means that they can slide into a position of dependence (addiction) on their drug of choice before they are even ready to acknowledge that there’s a problem. These behaviours indicate that with your own natural energies, you cannot cope, rather than this being a reflection on you, it is more of a reflection on the circumstances, and in the case of workers – it is a reflection of the workload pressures being too much. The dominant culture in which a worker operates in is important. This can be either constructive or destructive in nature. Read more about constructive and destructive work cultures in this blog: In it together. A destructive work culture is likely to create a situation where workers turn to self-medication as a way of coping at work. If workloads are high, support structures are limited and ‘stress’ is a taboo subject, where can a worker turn to? This married with the fact that the financial sector is often male dominated means that when workers need help, they do not readily share their problems or seek help; this means that they reach a critical point – burnout – when their bodies can’t take any more maltreatment- before they seek help. A Standard article states that 70% of employees don’t feel able to speak freely about mental health concerns at work; this type of working culture is hostile and destructive and values the ‘hands’ of the worker – that is: what they can do and provide, rather than the worker as a wholistic person with their own dreams, goals and aspirations. If an issue is affecting one individual in an organisation, then it’s affecting other colleagues in the same organisation. If someone works in a constructive or destructive way, then it would be wise to take a look at the prevailing organisational work culture. Stigma regarding stress and mental ill-health among professionals in these work environments are rife and MIND Mental Health Workplace can offer more information about this. Below, I summarise some of the constructive steps workers can take early on to keep themselves safe and mentally and physically healthy at work. For client-centred 1 to 1, and team support feel free to contact Awele for an initial consultation. Awele is an experienced trainer who has worked nationally and delivered training for over 300 delegates – working successfully with over 30 companies and organisations. From goal setting, and planning skills to resilience and stress management, Awele has experience designing and delivering a range of programmes. If you have particular training needs, then do enquire to see how Awele can be of support to you. Workplace stress is not something you have to live with, contact Awele and make stress at work a thing of the past. See here for more information on the range of training services Awele provides.